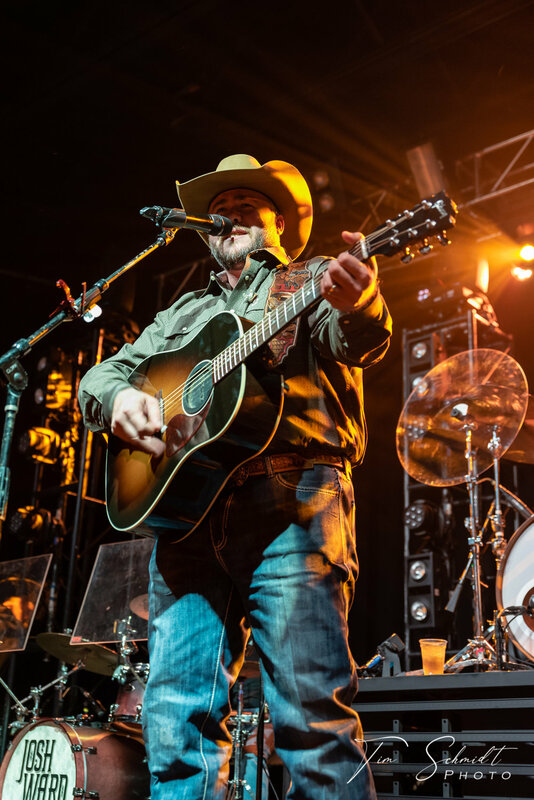 From the oil fields of Texas to the sold-out crowd of the Knitting Factory, Josh Ward music was on full display on March 28th, 2019 in Boise, Idaho. Now, I can’t speak for everyone in attendance. However, I can with every bit of confidence, say that by the middle of Ward’s first song that all eyes were on him as he and the boys started “Honky Tonkin” up the Idaho joint, Texas style. Every now and then, concert goers here in Idaho get to experience a typical good ol’ touring country music band. Now hear this: Josh Ward is anything but your typical touring country music artist, Josh Ward is country music! I can’t tell you when it happened or what it was that happened exactly, but half way through the set I caught myself standing there in Awe of what I was hearing, this was special, this was life! I feel like one of the hardest things for a singer/songwriter to do is captivate their listener with emotion and make them feel something so deep inside they hold on tight. With songs like “All About Lovin,” “One More Shot of Whiskey,” and “The Devil Don’t Scare Me,” Josh and his music absolutely nails it. For me, music either has it or it doesn’t. The words and the music that Josh was laying down on Boise, Idaho had IT. Josh Ward performs an acoustic version of "Highway" on his appearance in Jack Ingram's Songwriter Series. The song is on Josh's 2015 album 'HOLDING ME TOGETHER' & co-written with Cole Degges | From Episode 813 Connect to The Texas Music Scene: web: http://www.TexasMusicScene.com facebook: http://www.facebook.com/TXmusicTV twitter: https://twitter.com/TXmusicTV youtube: http://www.youtube.com/TXmusicTV "The Texas Music Scene" is a TV series that currently airs throughout Texas. “All grit and no quit.” These words are not just a motto to Josh Ward. This phrase is planted into the everyday facets of his life. The hard-working musician has paid his dues in the oil fields of Texas while playing music on the rodeo circuit. 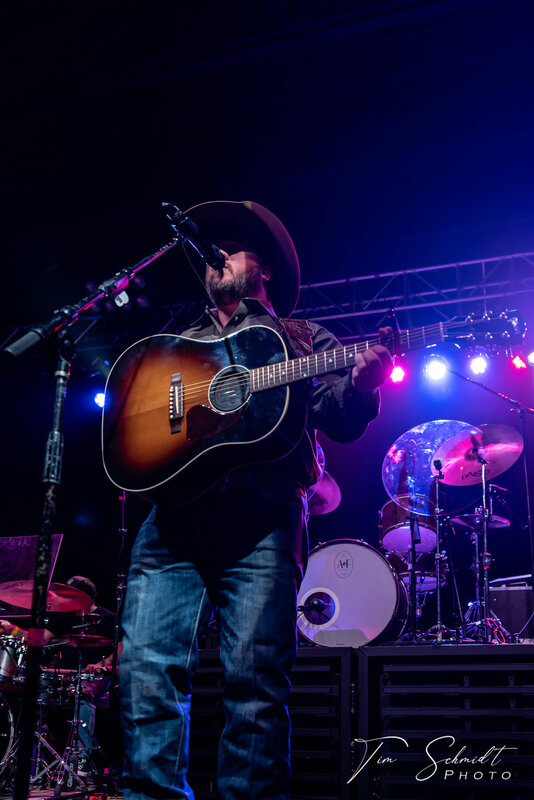 Josh went on to have nine number one hit singles on Texas radio and a strong social media presence of over two million views on YouTube and over three million streams globally on Spotify. His ability to consistently sell out shows while touring over two hundred dates per year gives him the staying power in country music. Josh Ward is country music blood to bone, and both Josh Ward and Country music are simply not going to go away. Josh Ward’s music has been featured in the hit series “The Ranch” on Netflix and is currently being played on radio nationally on rotation and is expected to gain more and more steam in the near future. I was able to catch up with Josh after his set for a minute or two, that is before his fans noticed that he was out and about from the safe confines of the stage. Within a few short seconds, Josh was swarmed by fans who were posing for selfies, getting his autograph and extending a hand for a warm welcome to Idaho and a heartfelt thank you. During my brief talk with Josh, I could tell that this guy was the real deal. He made it feel like we were friends, friends from way back. Not everyone has that ability. Matter of fact, often times, musicians seem they have something on their minds other than the fans or the conversation they are having. Sometimes you get the sense that they are in a rush and not present in the moment. Not Josh Ward. He was there, grounded and in the moment, giving everything he had just as he did on stage. There was a brief lull and as the next set of fans were approaching I asked the quick question. “Does this ever get old? The fans? The hours? Josh’s reply said it all, “NO, not one bit.” Idaho and Idaho radio could us a little more Josh Ward Country. The Josh Ward band is Josh Ward (lead vocals, rhythm guitar), Steve Cargil (bass), Justin Cogneato (drums), Woody Woodruff (lead guitar), and Glen Shankle (steel guitar).